With the most recent popularity of matte liquid lipsticks and the colder weather right around the corner, my lips will certainly be requiring some TLC. However, just because something is nourishing doesn't mean you have to sacrifice the look of soft tinted lips with a beautiful sheen. Kari Gran's Lip Whips come in different varieties and tints to suit every taste. I have the delectable Cinnamon Naked and Radiant Lip Whips. 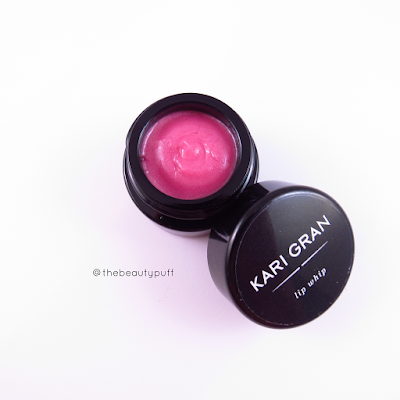 Kari Gran's Lip Whips provide soothing, luxurious moisture to even the most parched pout. Simply apply with a clean finger to bare lips or on top of lipstick for added shine. I love using the Cinnamon Naked Lip Whip at night for a boost of moisture with a warm, comforting scent that reminds me of fall. It provides a subtle sheen on the lips that can also be worn during the day for a simple accompaniment to your daily makeup. For added color, the Radiant Lip Whip gives a perfect pink hue to the lips that is stunning all on its own. It has a cooling sensation on the lips and a subtle scent from peppermint oil that's very refreshing. I see this as being my go-to for beautiful, nourished lips in the fall and beyond. Lip Whips thoroughly coat the lips, providing a protective barrier that doesn't just get absorbed and disappear shortly after being applied. The formula is incredibly smooth and thicker than a typical balm. They feel very comfortable, especially after wearing a drying, matte liquid lipstick! These Lip Whips not only provide intense hydration, but also look beautiful on the lips. I can pair these with any makeup look which I love. 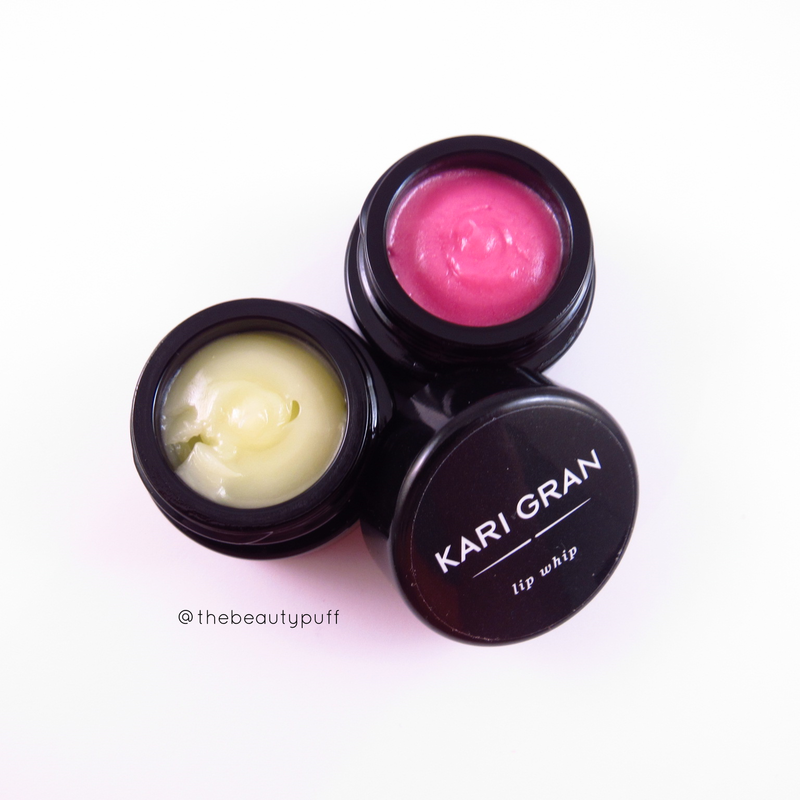 As with the rest of Kari Gran's skin care line, these Lip Whips are infused with organic oils to keep your lips naturally nourished without any parabens or toxins. None of her products contain water so you are getting the purest product possible. To assure freshness, each product is marked with a handwritten expiration date. They come in sleek, dark glass pots that make beautiful additions to a vanity or beauty bag for on the go.